How to tell if an onion is bad – Onion is an important herb for cooking purposes. But you have to know how to find the onion that still fresh. 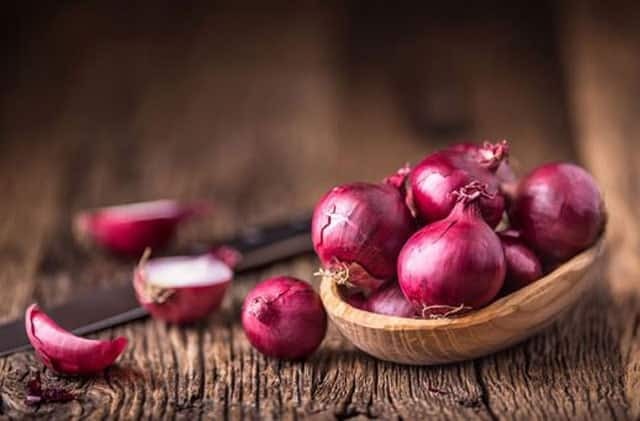 Most onions that are sold freely in the market are not accompanied by the period of use, so you should check it at any time. Every time buy onions, you should to ask the seller about the onion harvest time. If just harvesting, means you can estimate how long the onions can survive in your home. When viewed from the time of harvest, onions can usually last up to a month or even more up to 6 weeks if you store it well. However, if stored in the refrigerator the time will increase to 2 months. Below are the natural times of onion based on the onion type. Fresh Onions (whole bulb)– Can last 4-6 months in the kitchen, 1-2 months in the refrigerator. Chopped Onions (fresh)– Onions that have been chopped should be used immediately, but if stored in the refrigerator he lasted 1 week. Frozen Onions– Age of onion that has been in the freeze has a very long time. He survived 6-8 months in the refrigerator. So, the age of the onion is not as long as the age of other vegetables that can last longer. So, you should try how to store it properly in the refrigerator. The important thing is to know if the onion is bad. As a person who always active in the kitchen, to know the character of spices such as onion is very necessary. Onion is an important spice in the kitchen and it includes sensitive herbs. So always recognize its character so we do not cook bad onions. How to tell id an onion is bad is with some indicators. Initially you need to see the texture, if when you press it, you feels soft, then the onion certainly declared expiration period. Fresh onions have a hard and crispy texture and a leathery skin. At the end of the onion is where appearance of shoots, this is usually faster change. If you want to keep the onions well, the pieces are cut off so as not to change the taste of the onions. In addition, keep the onion fresh. Always use onion when it is fresh to make your cooking better. Well, after knowing how to recognize the bad onion now we need to know how to save it so as not to quickly rot. Place your onions in the kitchen in a dry and dark place. Air circulation also needs to be noticed. Do not store in plastic without holes. If it requires you to save in a plastic, make a hole for air to enter. If the onion has been peeled, enter into a sealed container and store it in the refrigerator. Estimate the onion fresh season, as we mentioned above. So, you can use it before that time. Some people love frozen onions, so they can keep them longer in the refrigerator. But for those of you who love delicious cuisine, this certainly do not you like. Freezing onions will only make the taste bland and uncomfortable, but the age of the onion becomes longer. If you want to keep the onions longer, keep the onions away from the potatoes. Potatoes and onions can remove each other chemicals so they can quickly rot. So, these two types of food should be kept away from each other. Notice the onion. Fresh onions have skin that is tanned and clean. Does not grow and does not have black spots. Feel the onions. The texture must be tight and hard when in touch. If the onions have spots, soft, not hard. This should be discarded because it has expired. Smell the onions. If the onion you store has decomposed, it will emit an unpleasant odor, unlike ordinary onions. Fresh onion is an important herb because onions can give a unique aroma to the cuisine. Many dishes can be served, if the onions are fresh. Fresh onions will emit a distinctive and unique aroma. In addition, fresh onions also store many nutrients that make the dish not only tasty but also healthy. So, as a woman who is always in kitchen, knowing and learninghow to tell if an onion is badis an important skill. If not, then your dishes can be less tasty and even not nutritious. So, recognize and distinguish fresh onions and foul onions.